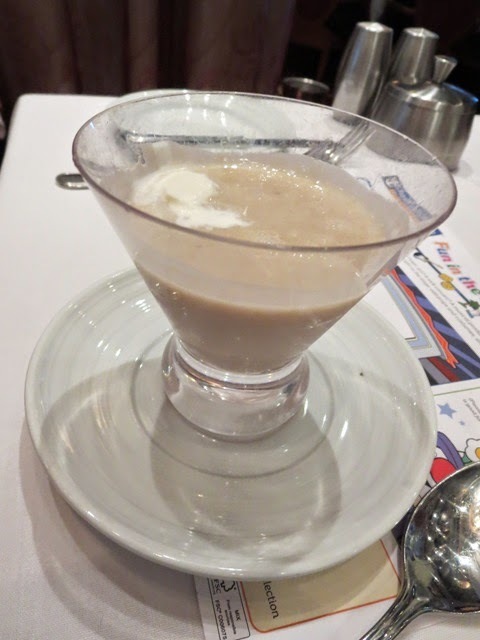 B and I love reading Richard Scarry books so we just HAD to try banana soup when it appeared on the menu on one of our Royal Caribbean cruises. We weren't sure what to expect, but it was more like a banana milkshake - and was delicious! Bananas Gorilla would thoroughly approve!